Mixed Estates Auction Catalogue Will Be Up Soon! Auction Network’s family of professional auctioneers is proud to bring you online auctions weekly. Bid from the comfort of your home. Always something new and exciting! were worn once only. Many one of a kind outstanding pieces. Ladies Clutch bag set with over 1000 carat of CZ & Swarovski Elements. 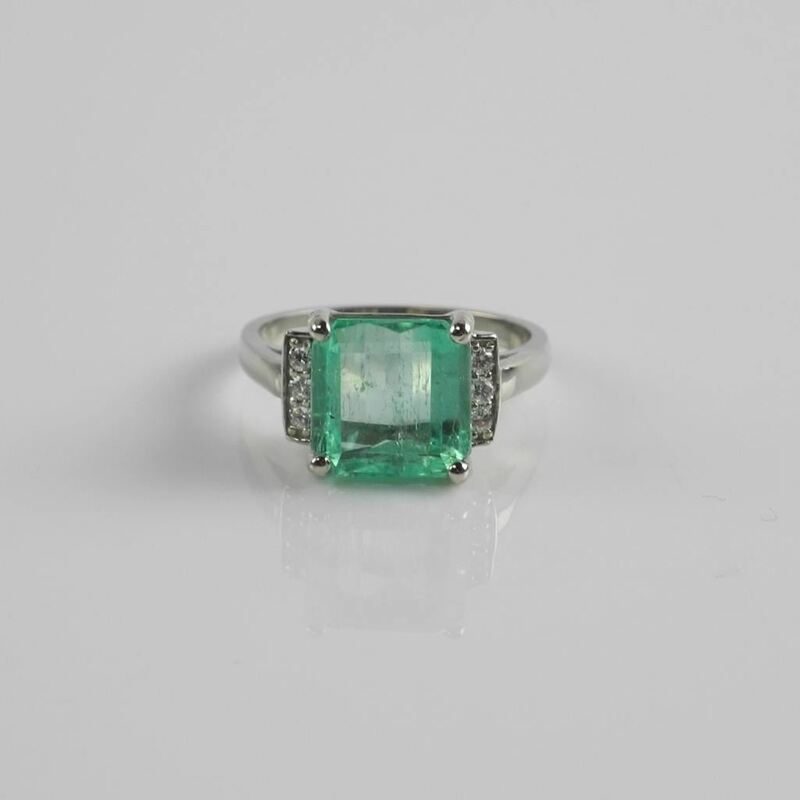 We are always accepting quality estates and consignments. Please visit https://auctionnetwork.ca for more information. We look forward to seeing you online or in-person. Thank you. 1966 Canada $1.00 Coin MS-65 Large Beads ICCS. Bank of Canada 1954 – One Thousand Dollar Note Modified Portrait. L/B, A/K Cased with C.O.A. Auston Matthews – TML Signed Puck with C.O.A. Sports Memorabilia – Mystery Box Each Box Contains – Signed Jersey and More- Average $850.00 MSR Value. Lot of Approximate (50) Comic Books. 4 Prop Mini Drone 2.4 GHZ, USB Change, Lite Indoor, Gyro. When: Thursday, July 26th, 2018 at 8:00pm EST. Where: Auction Network (Webcast Studio), 501 Alden Road, Markham, ON. Preview: Thursday, July 26th, 2018 from 1:00pm – 8:00pm. Best of The Best offerings from all categories. 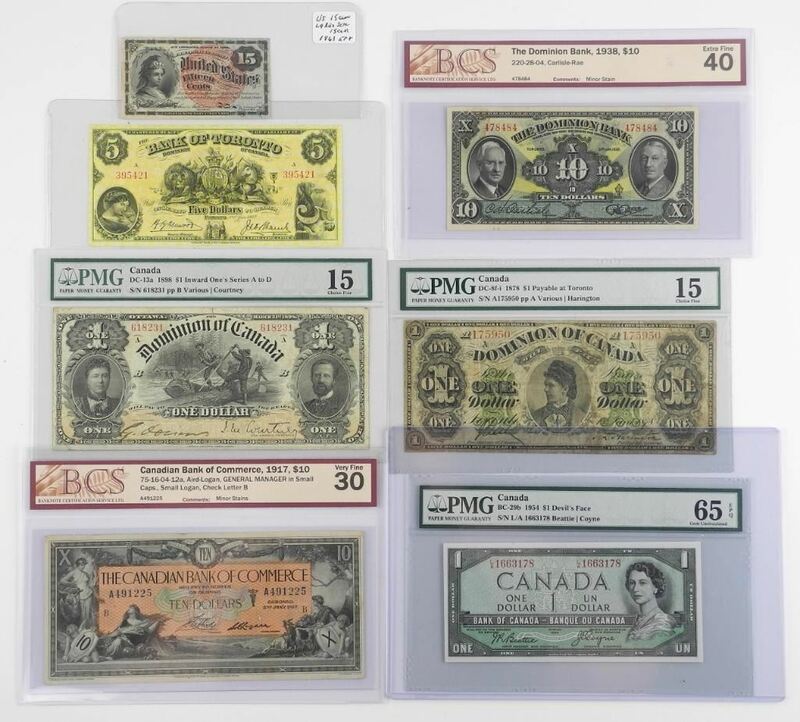 Bank of Canada 1988 – 5pc $1,000 Note Set – “BCS” Certified AU58 – Original “EKX” Replacements, In Sequence – Printed 339,685 Worldwide. 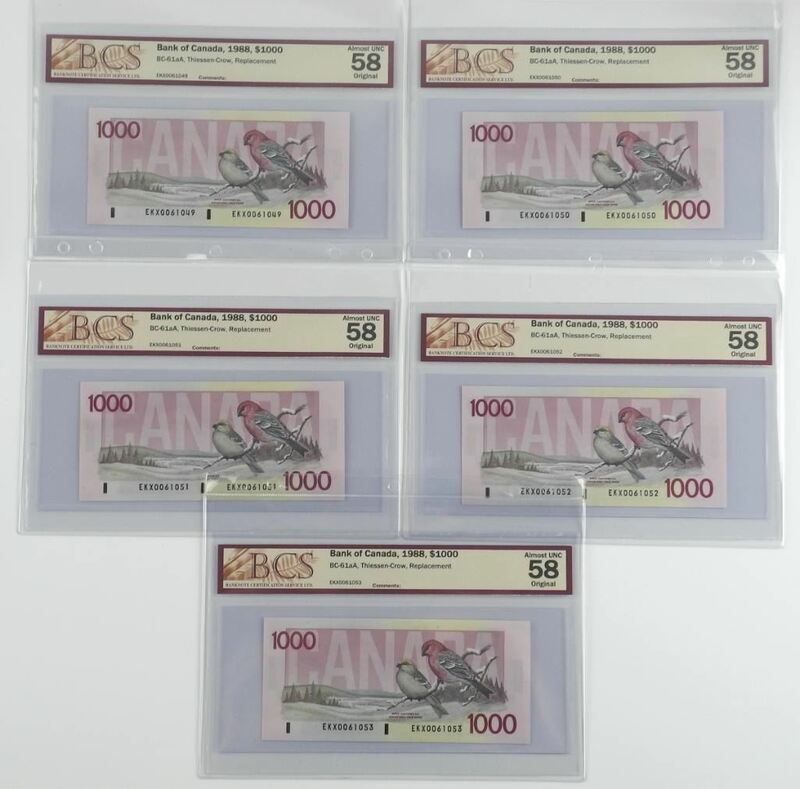 5x Bank of Canada 1988, $1000.00 BC-61a A, Thiessen – Crow, Replacement. Printed – 339,685, ‘BCS’ (AU58) Original ‘EKX’ Sequential, 1049, 1050, 1051, 1051, 1052, 1053, ‘Scarce Collection. 2018 – .9999 Fine Silver $20.00 Coin ‘Golden Spring Pysanka’ Mintage – 5000 – World – Sold Out! 1oz. – Pure Silver Gold Plated Coin. 1st of it’s kind to Feature Reverse Gold Plating Serialized C.O.A. Canada, Molsons Bank 1908, $10.00, Montreal, Canada East PMG – IS, Choice Fine. Scarce Note. Approximate 60.00 Notes Were Printed. 2017 RCM $50.00 Coin, 99.99% Fine SIlver – ‘Maple Leaves in Motion’ 5oz. Convex Coin, 60mm in Diameter. Mintage 2000 World Serialized, C.O.A. – First Coin in This Format w/Collector Case. A World’s First! Relive The Magic of an Antique Carousel with a Movable Miniature! 99.99% Pure Silver w/Gold Plating. 6oz. Pure Silver Mintage 1000 – Sold Out! Just Like a Real Carousel, but Held in Your Hands. Limited Edition/C.O.A. w/Case. 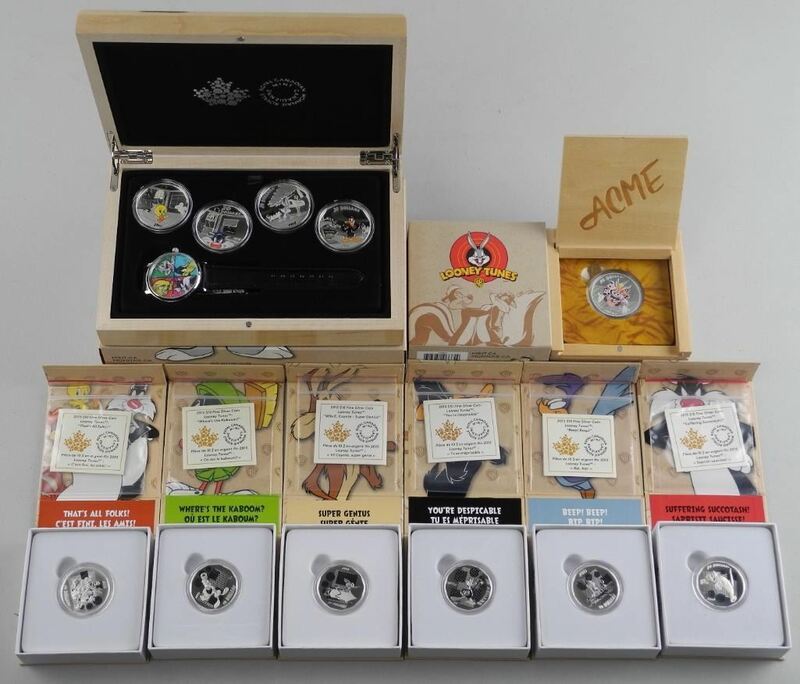 Warner Brothers/RCM Looney Tunes Deluxe Collection 5x .9999 Fine Silver $20.00 Coins, ‘ watch & Case’ – Sold Out! 1867 – 1967 Mint Coin Set, As Issued From RCM, Includes .900 Fine – $20.00 Gold Coins, Bonus .9999 Fine Silver Canada 150 Medal & Bronze Canada 150 Medal. Coins are Naturally Toned. Investment Bullion Collection. 4x .9999 Fine Silver 10oz. Troy Bars, 6x .9999 Fine Silver $20.00 Coins, .9999 Fine Silver Panda Bear, 6x .9999 Fine Silver 1oz. Bars, 6x .9999 Fine Silver 5 Dollars Maple Leafs. 2x .9999 Fine Silver 2012 Eagle Dollars ‘US’ 2x .9999 Thor & Panther Coins, 3x .9999 Fine Silver Flying Eagle 2 Dollars, 1x .9999 Fine Silver Goat Coin, 1x .9999 Fine SIlver Rooster Coin, 1x .9999 Fine Silver Year of Horse Coin, 1x .9999 Fine Silver 1 Gram Gold Bar, 6x .925 Rooster Coins, 12x .9999 Fine Silver Historic Cars, 10x .9999 Fine Silver $20.00 Coins. 62 Pieces in Mahogany Case. Apple Mens Watch, “Lawren Harris” Panel & White Book, Rare Coins & Much More. 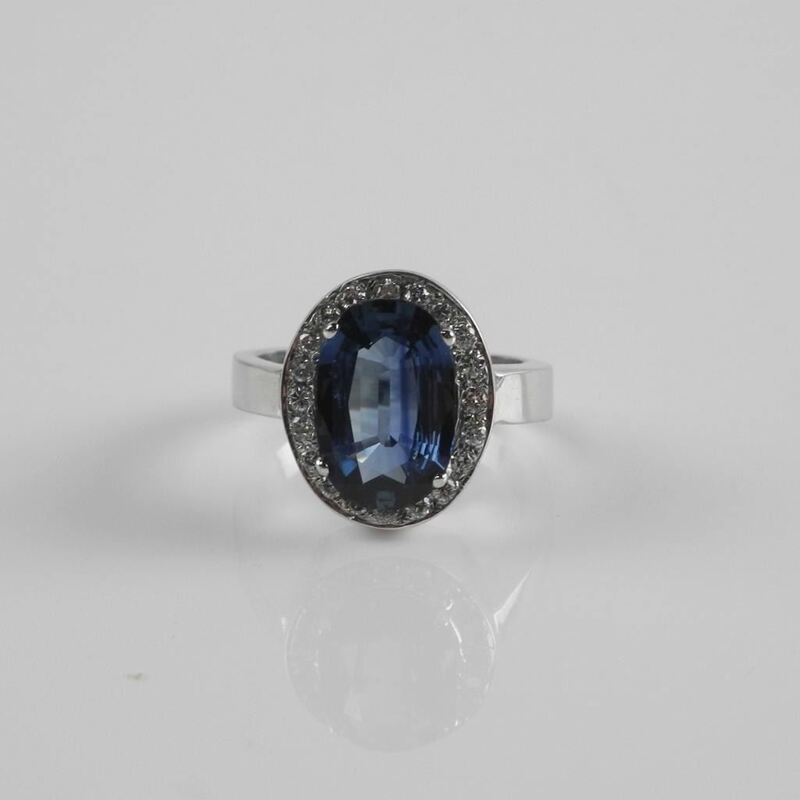 Invest Lot of 100 Carats of Genuine – Natural Sapphires, Emeralds, & Rubies. 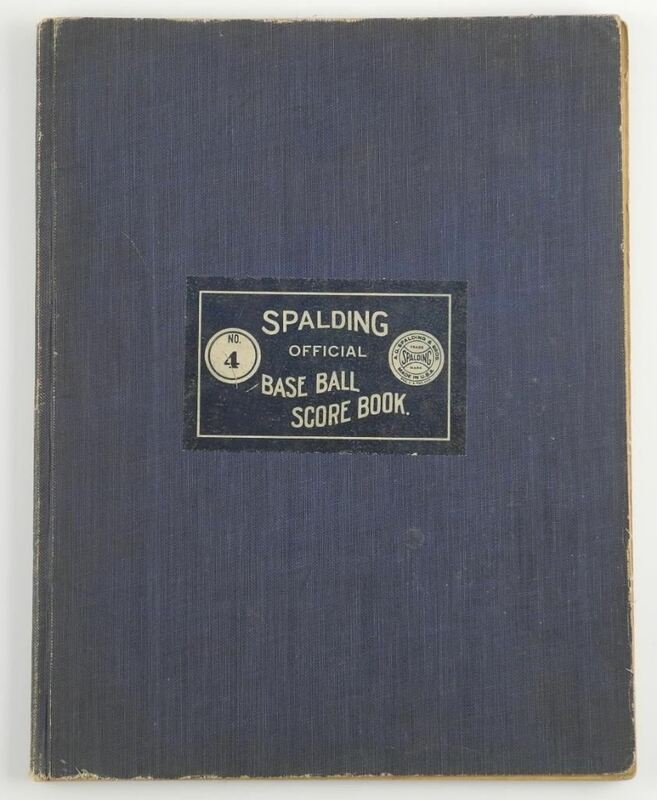 RARE” – Original “SPALDING” Official Baseball Score Book, Includes: Games from 1921-1967 World Series Yankees Etc. ‘Maple Leaf Gardens – 1931 – 1999’ Memories & Dreams – Tells the Entire 68 Year Building. Includes 8×10 Gretzky Last Game in MLG. The book was Autographed in Hot Stove Lounge at MLG. 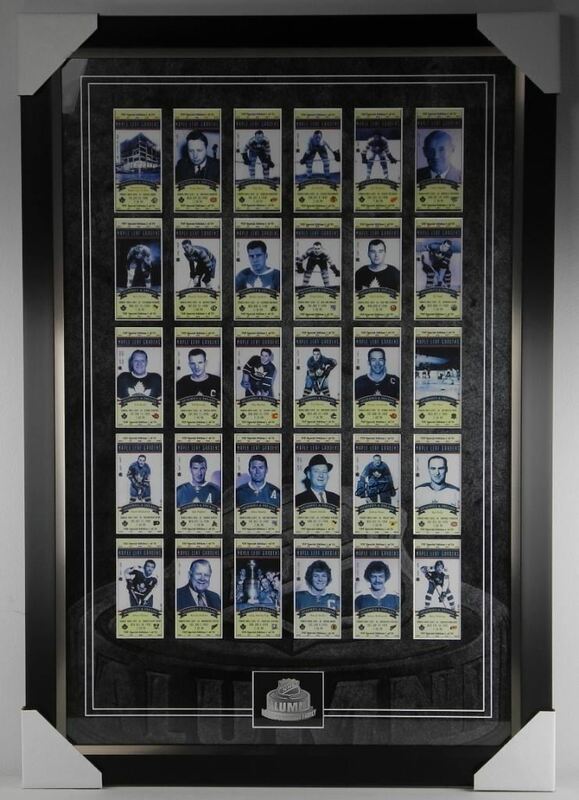 18 Original Autographs of Alumni Legends, Plus – Final Season, Litho Ticket Collection, Signed by ‘Johnny Bower’ Museum Framed 26×39″ A Collection you Cannot Replace. Group of Seven Artist & A.J. 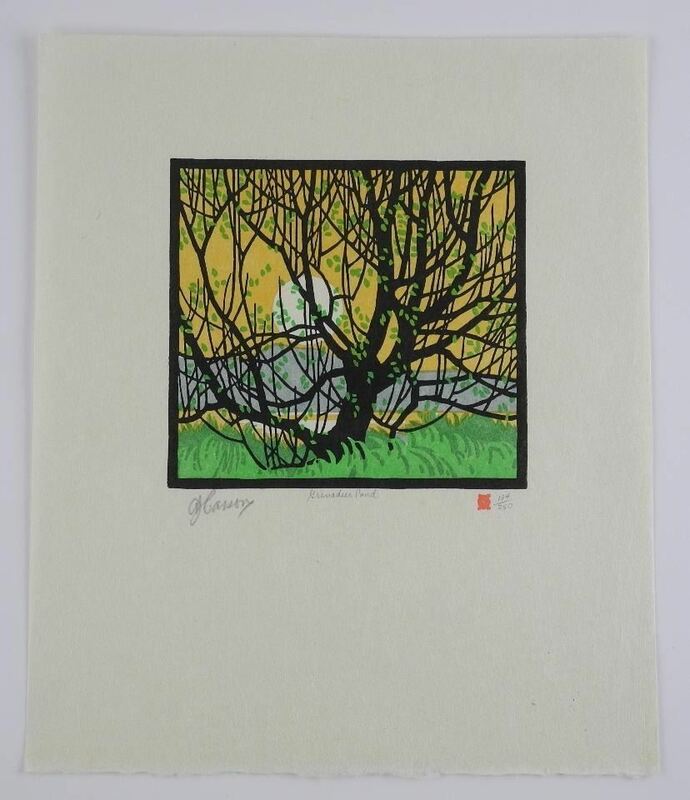 Casson (1898-1992) – Joined in 1926 ‘ORIGINAL lINO BLOCK’ ‘GRENADIER POND’ 9×9 Unframed, Hand Signed, Full Signature. Fully Certified & Appraised $4500.00. 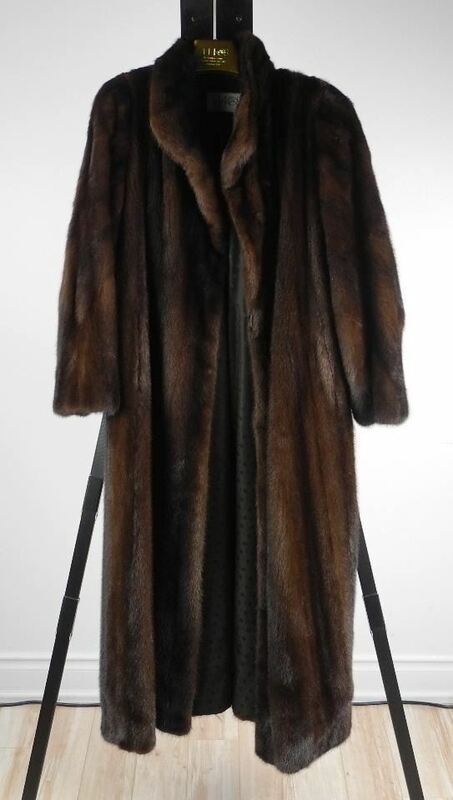 Estate – Full Length (almost 72″) ‘Mink Fur Coat’ Mint Condition Purchased From – ‘MAKOS FURRIES’ Spadina & Queen Toronto Canada Size ‘M’ ‘Made in Canada’ Owner Paid $16,000.00 – Estimate $3500.00 – $6000.00. 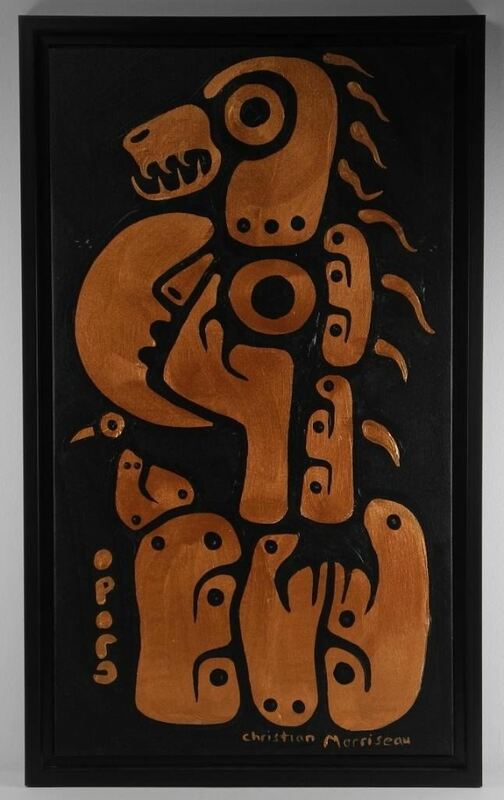 Christian Morriseau (1969-) ‘Original Painting’ 30×17″ Acrylic on Canvas, ‘Astral Healer’ Hand Signed on Front, Titled and Signed on Verso, Gallery Floater Frame 19×32″ Framed. 2016 First Time Use of Metalic Paints. Auction Network’s family of professional auctioneers is proud to bring you weekly online auction sales. Bid from the comfort of your home. Always something new and exciting! 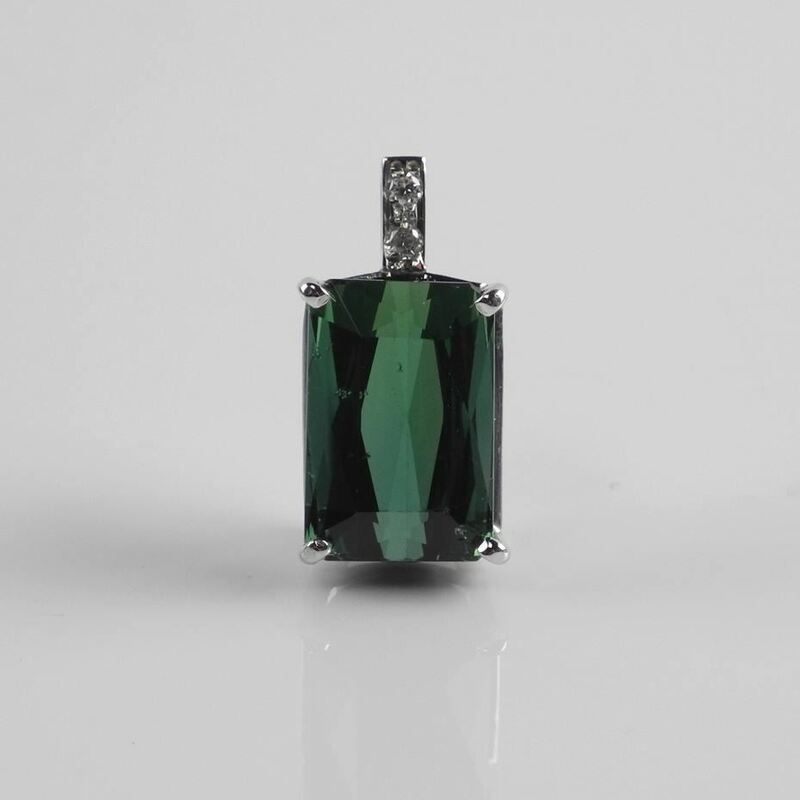 Brand New Designer Jewellery – Gold 10-14-18kt, .925 Silver, Amethyst, Sapphire, Amber, Pearl, Turquoise, Emerald, Lade, Lapis, Opal, Topaz, Moonstone, Ruby, Agate, Pyrite, Tourmaline, Peridot Alexandrite Tanzanite, Onyx, Diamonds, Swarovski Elements, Artwork: Norval and Christian Morrisseau, Thomas Kinkade, Group of Seven Artists include A.J. Casson, Doug Laird, Andy Warhol, Disney, Sports Memorabilia (Hockey, Baseball, Basketball and More), Collectibles, Nostalgia and Much More! Canada 1900 – 5 Cent F-15 ICCS Round-O. Lot (3) Rolls Mint – Special Issue Loon Dollars (1916-2016). Christian Morrisseau (1969-) Serigraphic – ‘Woodland Shaman’ LE/60 Worldwide. Hand Signed with 23kt Gold Cree Signatures. 11×13 Unframed with C.O.A. Ladies – Custom Hand Made Clutch Bag – Swarovski Elements & Cubic Zirconium (Over 900cts.) Intense Labour Involved. MSR 2500 – w/Shoulder Strap. 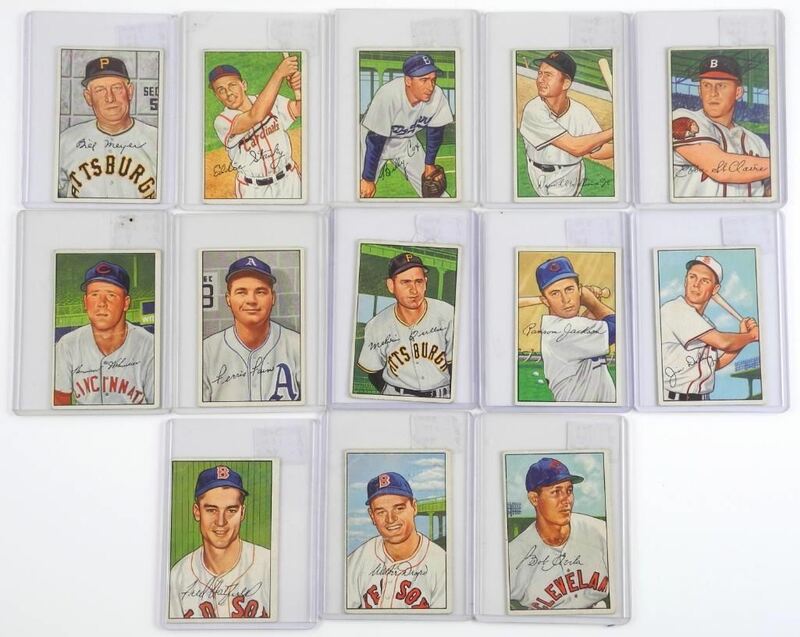 Collection of (12) 1952 Series Bowman Baseball Cards. Players Born from ‘1893-1927’ Cat Value: $1100.00-$3600.00. COINS, COLLECTIBLES, ART & MORE! Soft Closing on Monday, July 23rd, 2018 at 9:00pm EST. Auction Network’s family of professional auctioneers is proud to bring you weekly online auctions. Bid from the comfort of your home. Always something new and exciting! 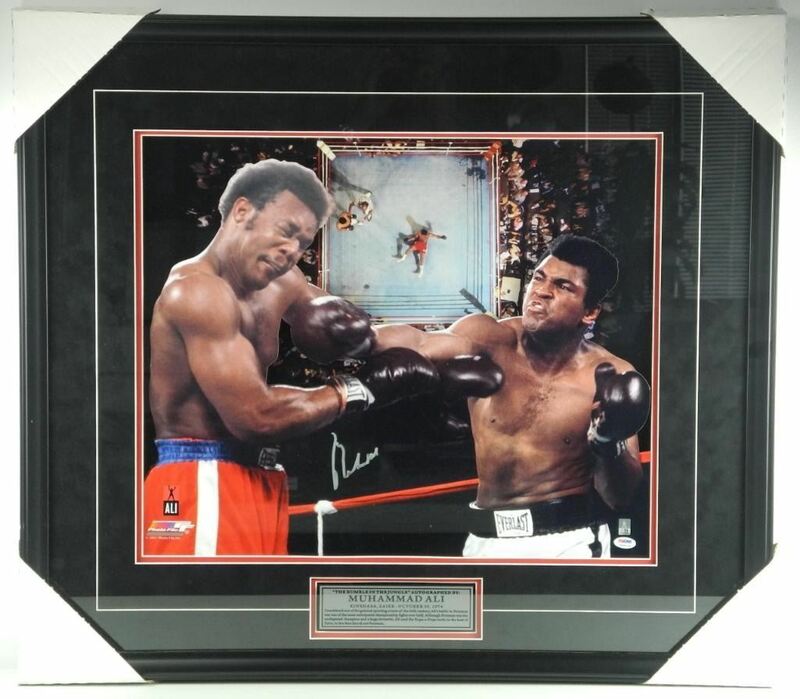 Sunday July 22nd at 2PM EST Liquidation Auction | Sports, Coins, Jewellery, Art & More! Liquidation Auction Sale | Sports, Coins, Jewellery, Art & More! Saturday July 21st at 2:00 PM EST. Please note Saturday’s Live Online Auction Goes Live at 2:00 PM EST. Bidding Is Open. Check Back Often For Catalogue Updates. New Items Arrive Daily! 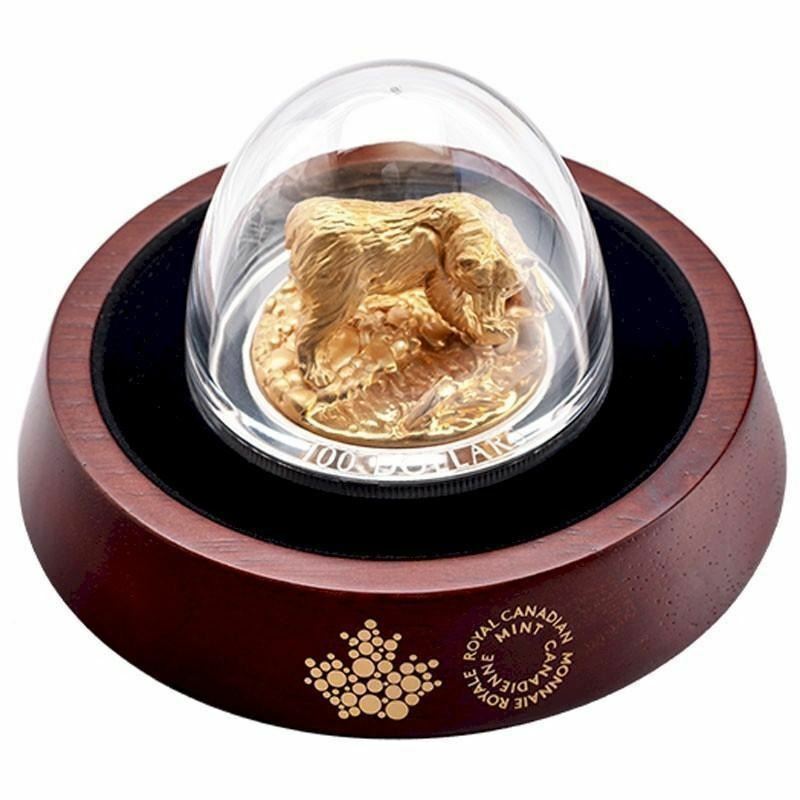 Bid On: Sports, Coins, Jewellery, Art & More! Auction catalogue will be posted soon!